I am getting error on my sharepoint server 2013 "Session state has been disabled for ASP.NET. The Report Viewer control requires that session state be enabled in local mode." "Enable-SPSessionStateService –Defaultprovision" but same error appearing. what will be the issue ? please suggest me. Open the SharePoint web application web.config. Now open IIS > Sites > select your SharePoint web application. 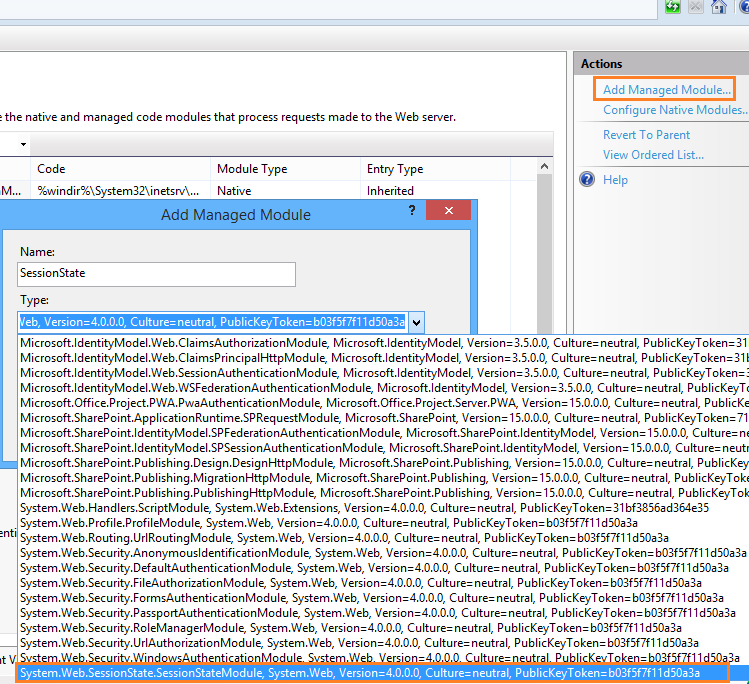 Open the modules applet under the IIS section. Click Add Managed Module in the right-hand panel. Not the answer you're looking for? Browse other questions tagged 2013 sharepoint-server asp.net session or ask your own question.